David McCullough Jr. never expected his commencement speech to strike such a chord. 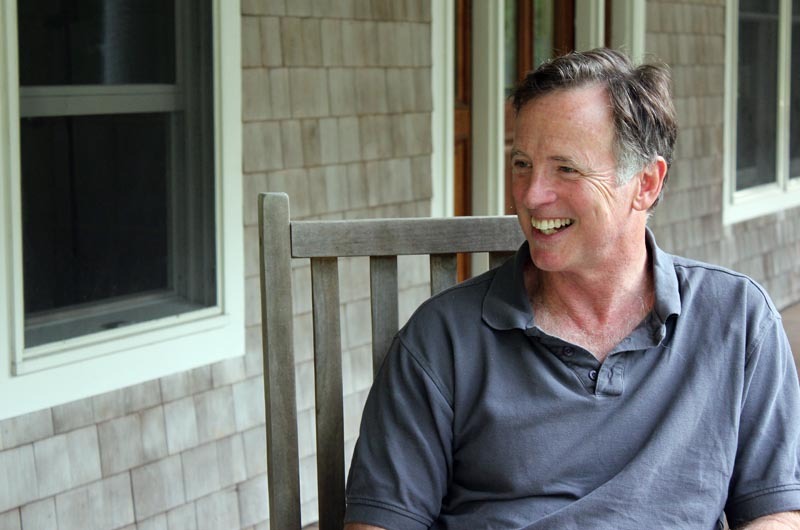 On May 31, 2012, David McCullough Jr. was “just a regular high school English teacher.” But by June of that year, he was regular no more. His email inbox was flooded with messages from around the world, television trucks appeared in his driveway, and Charlie Rose interviewed him for his CBS show. Indeed, the meat of Mr. McCullough’s speech is encouraging and reflective. As both a veteran teacher and a parent of four, Mr. McCullough has a prime vantage point on today’s teenagers. On that June afternoon he thought he was sharing his words with just the Wellesley High community. But the speech was filmed by someone in the audience and shared on YouTube. It quickly went viral and has been watched by over two million people. Recently, Mr. McCullough elaborated on the speech in a book, published this April, entitled You Are Not Special, and Other Encouragements. The book’s 10-page pitch was actually drafted while Mr. McCullough was on the Island two summers ago. The Island is his family’s summer escape, but his roots here lie much deeper. He is the son of historian David McCullough, and had been a year-round resident since early adolescence. His mother’s side of the family first came to the Island in the mid 1800s. On Tuesday evening, only hours after driving off the ferry, Mr. McCullough visited Bunch of Grapes for an author event. The book, targeted for a teenage audience, and, in fact, dedicated to them, offers advice on how to live life for its simple joys, not for the shiny allure of trophies and medals, certificates and accolades. Over the last decade or so, Mr. McCullough said he has noticed two major changes in the attitudes of his students. One is the eagerness to appear impressive, especially to college admissions officers. The other is the sense of narcissism promoted by the avalanche of new technology and social media. The purpose of studying, he said, should be learning about the world, not gaining material achievement, but it’s just not that way anymore. And with technology making kids long to constantly broadcast everyday experiences to their entire network of friends, the idea of prolonged concentration is almost laughable. But Mr. McCullough is not one to believe that kids are entirely responsible for this shift. “Educated people are getting married later and they’re having fewer children, which means that they’re further along in their careers and they have more resources to expend on fewer children,” he said. “And so the stakes are higher for the parents on the success of those children, and kids feel that pressure. Though changing this attitude is by no means a simple undertaking, he has faith that it is possible.